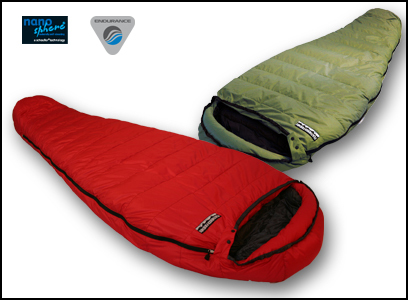 Feathered Friends Sleeping Bags – when I hiked the AT back in 1997 I was, to put it mildly, a bit of an ounce-counter and had a decent job for once, so I put down almost $700 for what was then the lightest 20 degree sleeping bag on the market, a Hummingbird DL (Gore Dryloft). That bag saw more than its share of abuse not only on the AT but also trekking through Nepal, through the Adirondacks, Rocky Mountains and Utah’s canyonlands. I just had them do a professional wash on it and replace 3 ounces of down and it looks brand new. My love for this bag led recently to me pig-headedly disallowing any other brand to fulfill our need for two new bags. Now three of the four of us will be in FF bags – the 3 year old has to wait till she’s at least tall enough to be the height required to go on waterslides by herself. Made in Seattle, USA!